Those roots are in the Internet. This is a good thing. Even if Turkey rips the roots out of the phone and cable systems that provide access to the Net, they can’t rip out the Net itself, because the Net is not centralized. It is distributed: a heterarchy rather than a hierarchy. At the most basic level, the Net’s existence relies on protocols rather than on how any .com, .org, .edu or .gov puts those protocols to use. The Net’s protocols are not servers, clouds, wires, routers or code bases. They are agreements about how data flows to and from any one end point and any other. This makes the Internet a world of ends rather than a world of governments, companies and .whatevers. It cannot be reduced to any of those things, any more than time can be reduced to a clock. The Net is as oblivious to usage as are language and mathematics — and just as supportive of every use to which it is put. And, because of this oblivity, The Net supports all without favor to any. The distributed model (C) appealed to military folks because it was the best design for surviving attack. Even in a decentralized system there are central points of vulnerability where a government could spy on traffic or knock out a whole service. No doubt this is happening right now in Turkey, just as it is in China and other countries that block sites and services on the Net. It might not be easy, but it is do-able by design. That design is not about hard, fixed and administrated lines, but on voluntary connections, or what Bob Frankston calls ‘DIY connectivity’. 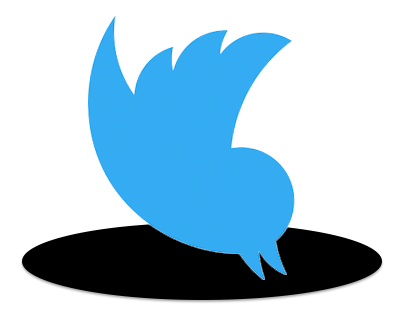 Twitter’s centralized nature makes it a dot in the star-shaped designs of A and B. That dot becomes a black hole when powerful actors like the Turkish and Chinese governments “eradicate” it. 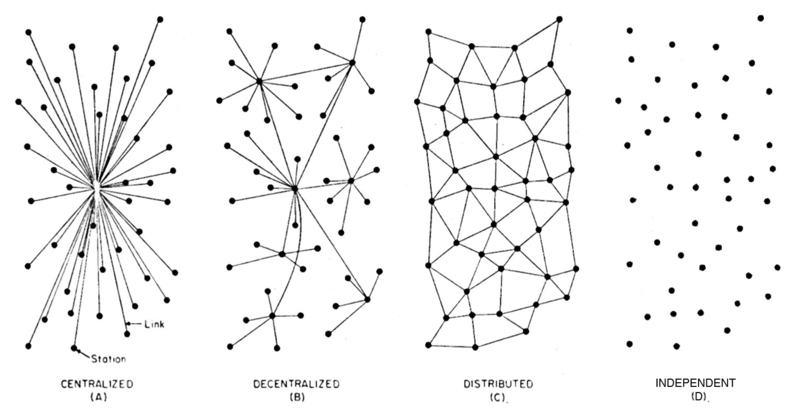 We need to bear this in mind when we design and use centralized systems — and even decentralized ones, such as we have with Twitter, Google, Facebook and other “social” walled gardens, which together comprise something that looks and works on the model of B rather than C. But it is also essential to understand that D is what we have underneath it all, and it is based on Paul Baran’s distributed model (C). It also helps to recognize that some things — such as being social with each other — do not require centralized systems, or even decentralized ones. They can be truly distributed, heterarchical and voluntary. Just as we have freedom of speech and association in any free society, we should have the same on the Net. And, at the base level, we do. She’s the brainlet of Customer Commons: She is, literally, a clean slate. And she is your clean slate. Not Apple’s. Not Google’s. Not some phone company’s. Omie needs crowdfunding. More specifically, she needs somebody who is good at doing crowdfunding videos, to help us out. We have the script. If you’re up for helping out, contact me. I can be DM’d via @dsearls, or emailed via my first name @ my last name dot com. Thanks! This type of article, when you start geeking out over distributed and decentralized networks, THAT is my favorite type of writing to read from you. Thanks, Joseph. Skip Cluetrain and go straight to The Intention Economy. “Part II: The Networked Marketplace” pretty much lays the whole thing out. Actually, you and I must be on the same mental radio frequency or something… because I DID pick up my copy of The Intention Economy, and started reading it again. More people need to understand what the Internet really is, the expanded edition of World of Ends is necessary education for all… but especially big companies and politicians (here in the U.S., and abroad). What can i do to make money online; many people ask this question, now I will present this information in this article. It’s a tough one, like convincing people before Columbus, et. al. that the world is round. They see flat. They work on flat. But round it is. OMIE is centralised around the individual and is the data that the individual stores about themselves. This is a single point of failure. OMIE will work better if it is considered to be “just another node” in the graph of connected data about the individual. That is, in keeping with the idea of decentralisation it is stronger to have your data scattered around different nodes. You don’t need to pay for the storage of data about you if someone else will and you do not need to include data in different places in your graph until you need to connect. That is, the most secure and private personal Cloud is one where the graph of nodes is dynamic, where data is stored in diverse places and where the connections between nodes are only made when needed. 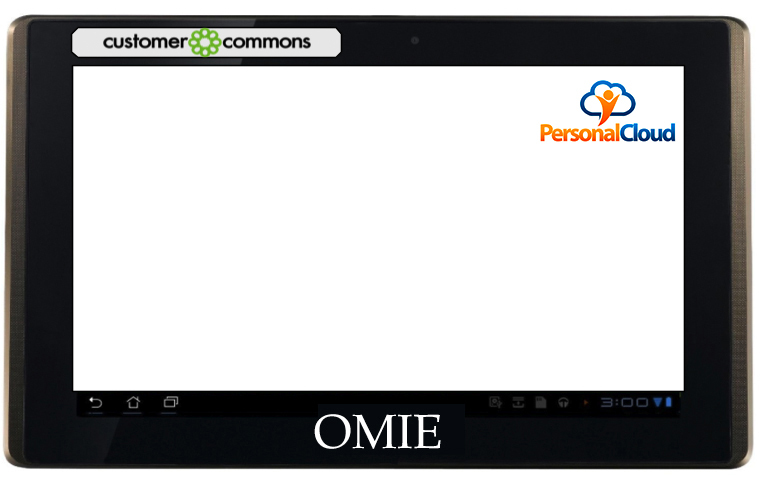 OMIE can be crowd funded with prepayments for future services. How does forking Android help this project more than say adopting a truly open OS like FirefoxOS? Like you and your colleagues, Mozilla puts the web user / the human first. @Kevin: in my experience it’s worth paying for storage of data, because when “someone else will” for free, it tends to come with strings attached with regard to the privacy and (mal)interpretation of my personal data. @Gregory: this wouldn’t surprise me, as the “combination of part B…” part of the internet is firmly in the hands of the telcos that work very closely and cooperatively (even more cooperatively than Google or Twitter) with the national security state. Other governments too obviously. @Philip: good question, I trust it more than I trust Android. One of the most serious forms of centralization that threatens the Net is centralized control over ISPs’ management of their portions of it. You, Doc, and your cronies at Berkman, have been staunch advocates of this, pushing for onerous “network neutrality” regulations that just happen to put money in the pocket of Berkman patron Google. Tellingly, your article also doesn’t speak out against Google’s attempted monopolization of search, video, etc. In short, you are only against centralization that your patron Google doesn’t want. Usually, ‘C’ apps and devices are considered less safe and secure than A and B; although that is not an intrinsic quality. So, bravo and good luck to OMIE. Personally, I expect we will be seeing many many more – wiglets and gridlets, or brainlets if that is the term that wins out – in coming years. The Turkish government blocked YouTube on March 27, after a recording purportedly of a government security meeting discussing military options against Syria was posted on the site. Twitter, which was blocked on March 20, is now accessible in Turkey after the Constitutional Court ordered the government to unblock it on Wednesday.